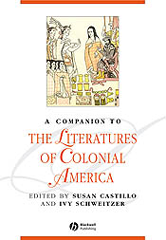 This broad introduction to Colonial American literatures brings out the comparative and transatlantic nature of the writing of this period and highlights the interactions between native, non-scribal groups, and Europeans that helped to shape early American writing. Situates the writing of this period in its various historical and cultural contexts, including colonialism, imperialism, diaspora, and nation formation. Highlights interactions between native, non-scribal groups and Europeans during the early centuries of exploration. Covers a wide range of approaches to defining and reading early American writing. Looks at the development of regional spheres of influence in the seventeenth and eighteenth centuries.